In order to have streamlined automotive production, companies need to ensure that their parts and supplies are ordered, manufactured, and delivered on time and on schedule, at a reasonable cost. Particularly, efficient and hassle-free shipping from suppliers is vital for an automotive company’s profits. Any delay caused by late shipments can be detrimental to an automotive company’s bottom line. Here are three reasons why late shipments can hurt your automotive production. Mass production is based on a lot of different moving parts that work together to create a manufacturing process that is quick and efficient in order to respond to customer demand. If your employees are standing around, unable to work due to late shipments, your productivity sinks drastically. 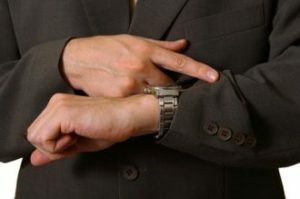 Time wasted caused by these avoidable delays can have a great effect on your company’s profits. Delays caused by late part shipments can slow down your assembly line’s productivity, you are also inevitably losing money because employees who are not working at their top speed and efficiency cost you money. Your automotive production time will be longer, since you will have to spend additional time waiting for your shipments, all the while having your employees on the clock for hours or days longer than they should be. What’s more, you will have higher inventory costs because of these delays. You have a timeline and a budget for each automotive production project, and you should be confident that you will be able to accomplish it quickly and in a streamlined fashion. If you engage a dependable supplier, you can avoid these additional costs created by low productivity. Don’t waste money on extra fees, inventory, and labour. Your business’s success relies on your customers. Keeping them satisfied is the best thing you can do for the future of your company in order to ensure that your clients keep returning for your products over and over again. Losing customers means losing out on money, which critically affects your bottom line. If you are delaying your customers’ orders due to late shipments from your suppliers, you are risking souring important relationships and ultimately decreasing customer satisfaction. If your clients are continuously forced to wait for their orders due to your late shipments, they might take their business to your competitors, leaving you standing in the dust. Late shipments can affect many different aspects of a company’s automotive production. Shipping problems can greatly undermine your attempts at getting an edge over your competition and creating added value to your services. Any delay can cost an automotive company valuable time, money, and customers. When you choose a parts supplier that is dependable, reliable, and on time with its shipments, you can rest assured that your automotive production is performing at top speed in order to increase your profits, keep productivity at its maximum, and keep your clients satisfied so they keep returning to you in the future. Fast and reliable supplier shipments will keep your production line running smoothly, just like it is supposed to.